The workhorse Model 700 ADL line is as solid and dependable as ever. There is a cost that comes with high performance; in this case, it’s a lot less than you think. The Model 700 ADL offers everything you love about the legendary Model 700, all at an extremely affordable price. The Model 700 ADL is leading the way for the next generation of hard-hitting, fully featured, affordably priced rifles. From the rock-solid receiver design to the famous “three rings of steel,” the Model 700 ADL offers the unrivaled out-of-the-box accuracy and high-end performance you've come to expect from America’s most popular bolt-action centerfire rifle. The Model 700 ADL is ready for the most severe weather conditions with its ergonomically designed synthetic stock. The barrel comes clean without sights and the receiver is drilled and tapped for scope mounts. 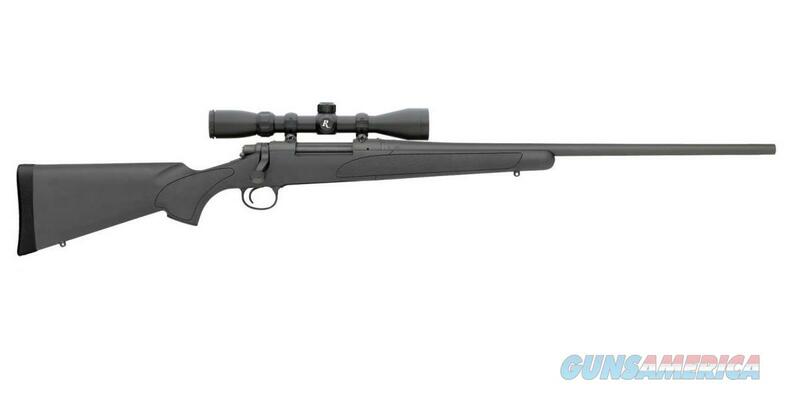 This package includes a 3-9x40mm factory installed and bore sighted scope.